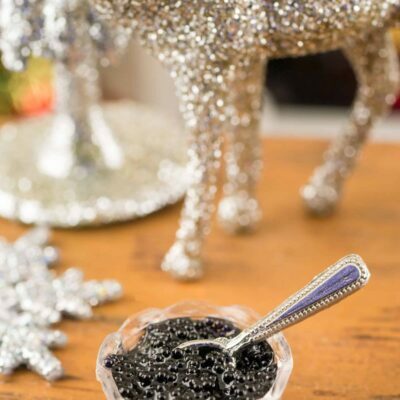 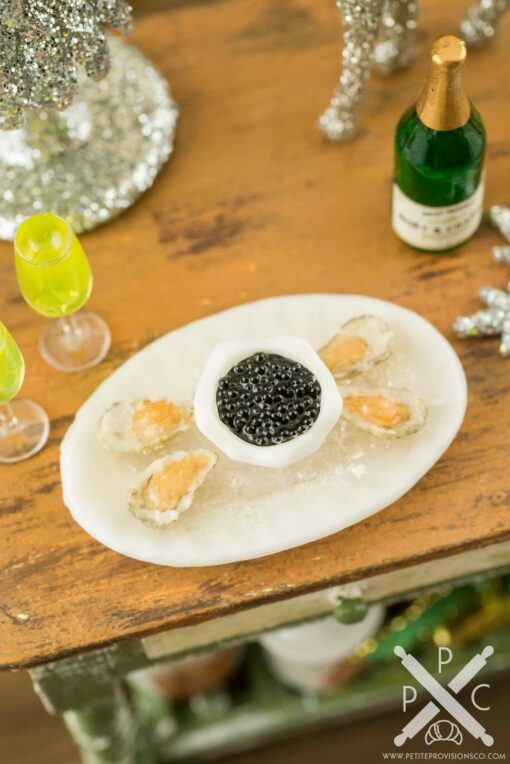 Dollhouse Miniature Raw Oysters on the Half Shell and Black Caviar Appetizer - 1:12 Dollhouse Miniature - The Petite Provisions Co.
One of my favorite ways to ring in the New Year is with delicious appetizers, and what’s more decadent than oysters on the half shell and luxurious black caviar over ice? 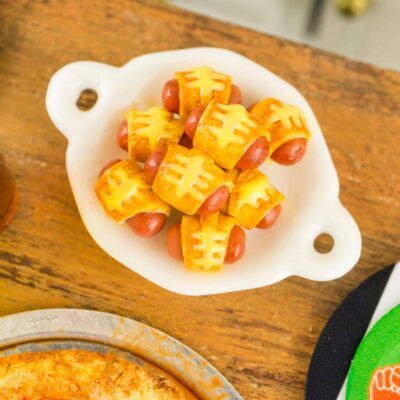 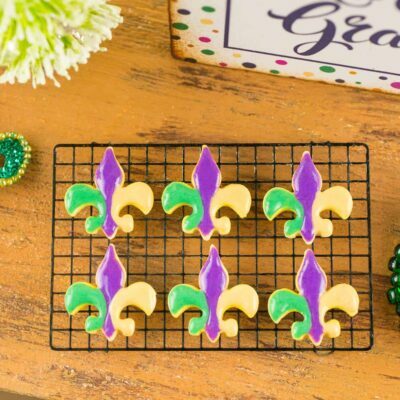 Whether you have a dollhouse or just love all things tiny, this bite-sized appetizer is too cute to resist! 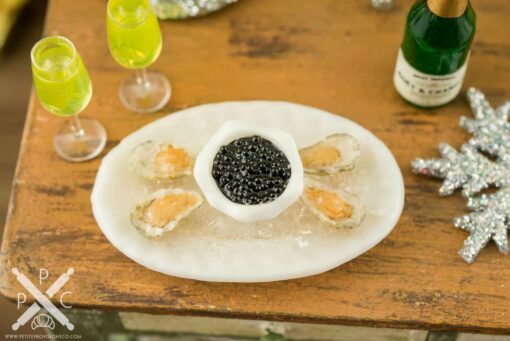 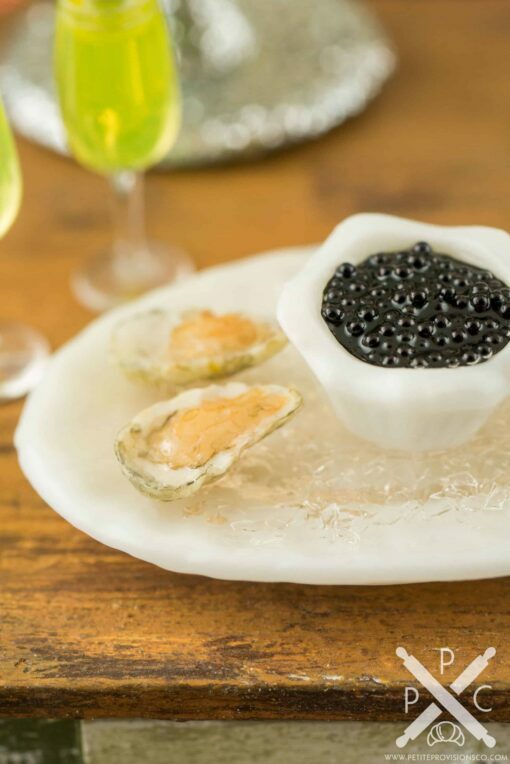 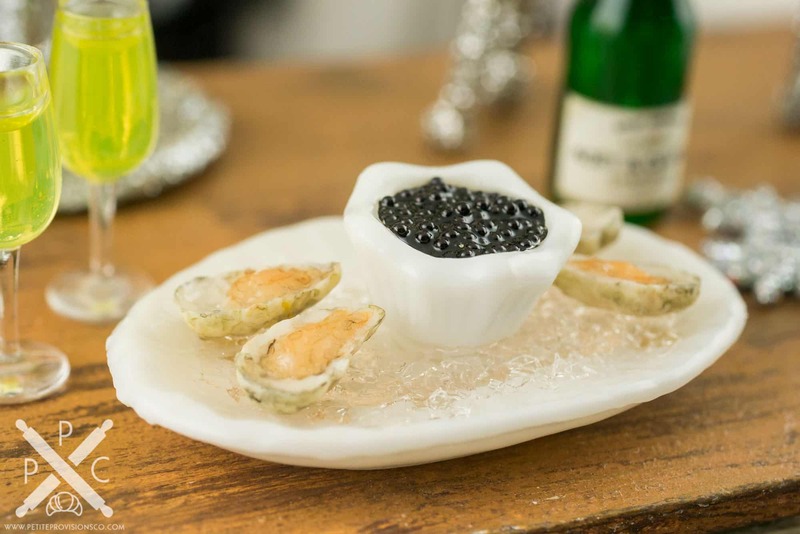 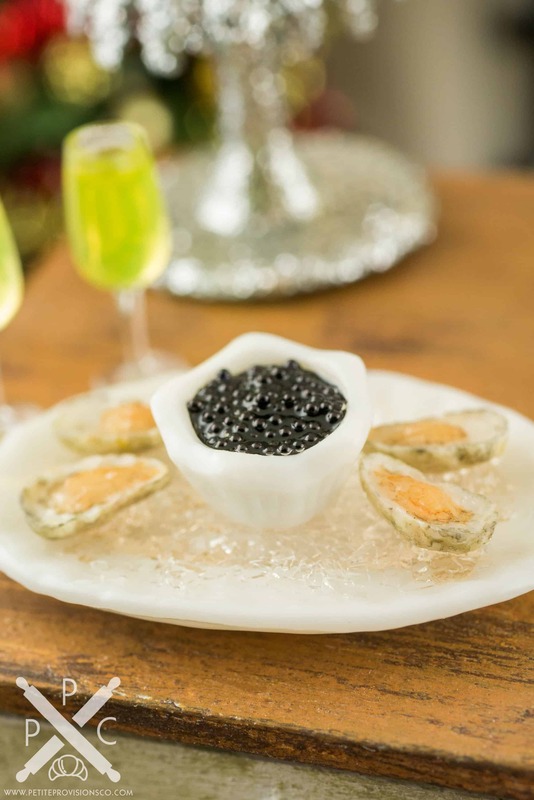 Four handsculpted raw oysters in their shells atop crushed ice on a ceramic platter, along with a bowl of black caviar. 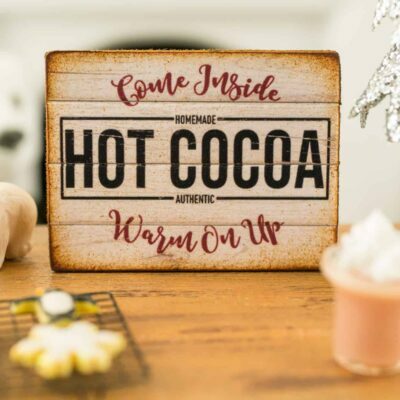 The tray measures 1-3/8″ long and 7/8″ wide.